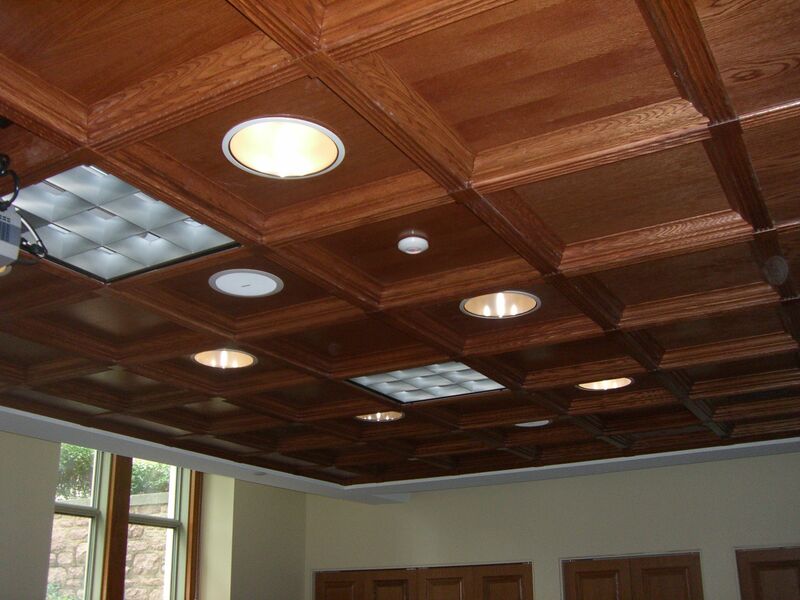 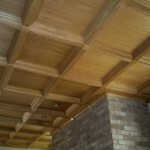 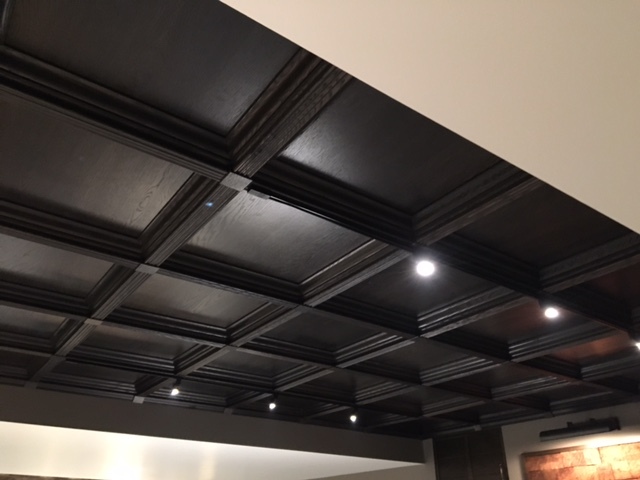 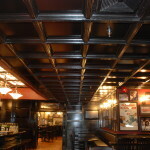 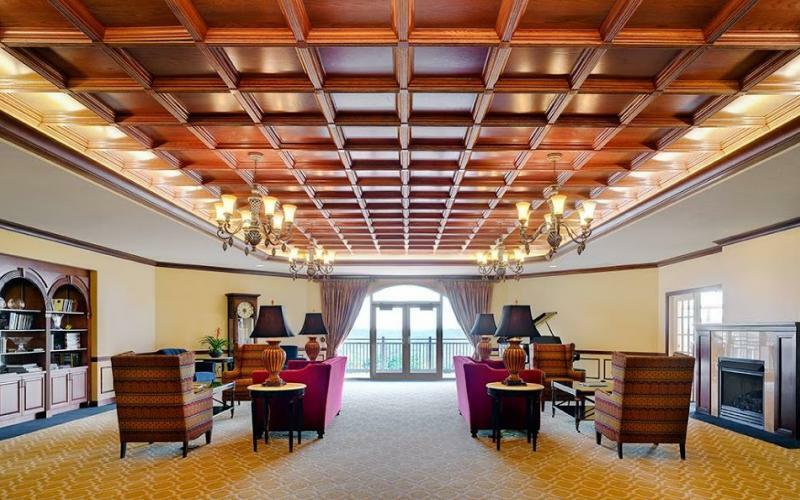 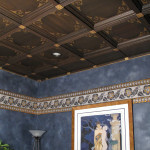 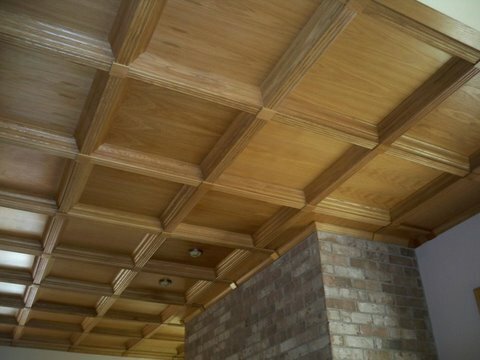 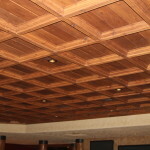 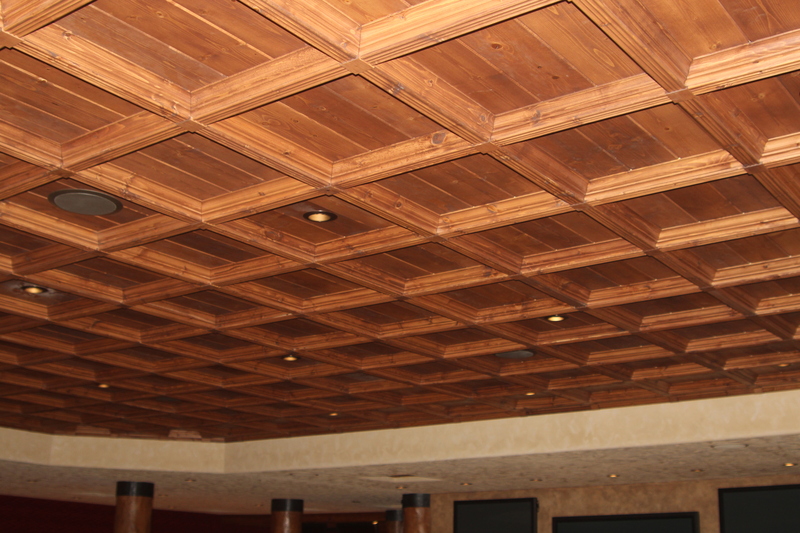 Classic CoffersTM Real Wood Coffered Ceilings differentiate fine, High-End finished spaces. 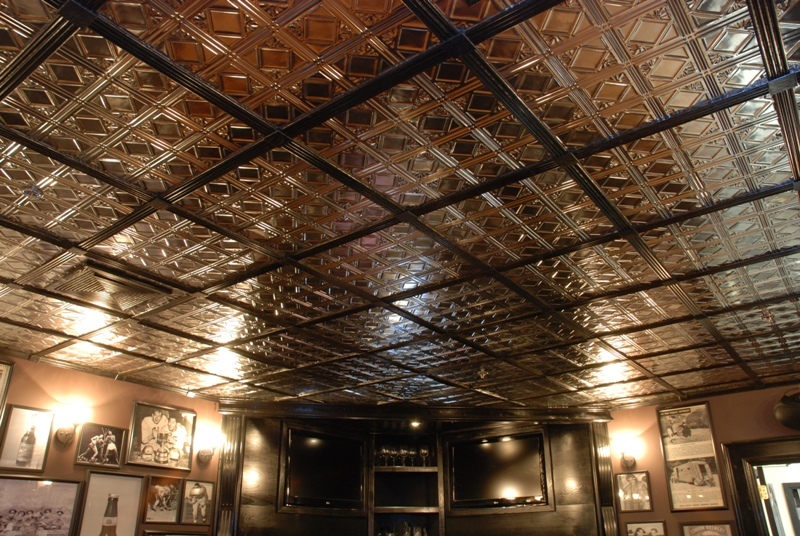 The beauty of a classic, handcrafted ceiling. 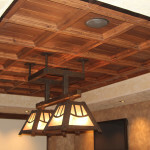 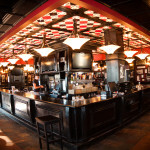 A cost-effective alternative to custom millwork. 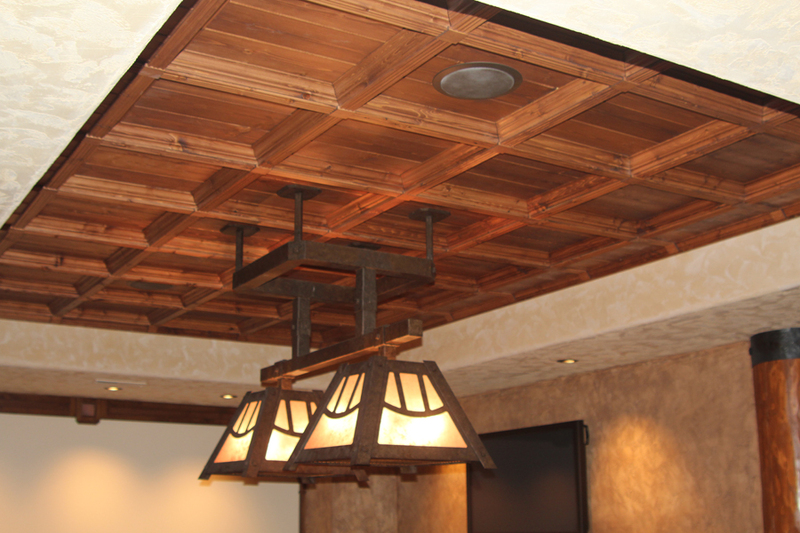 Access to utilities and wiring in the ceiling. 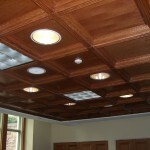 Pre-finished components that eliminate job site mess. Quick installation without the use of special tools. 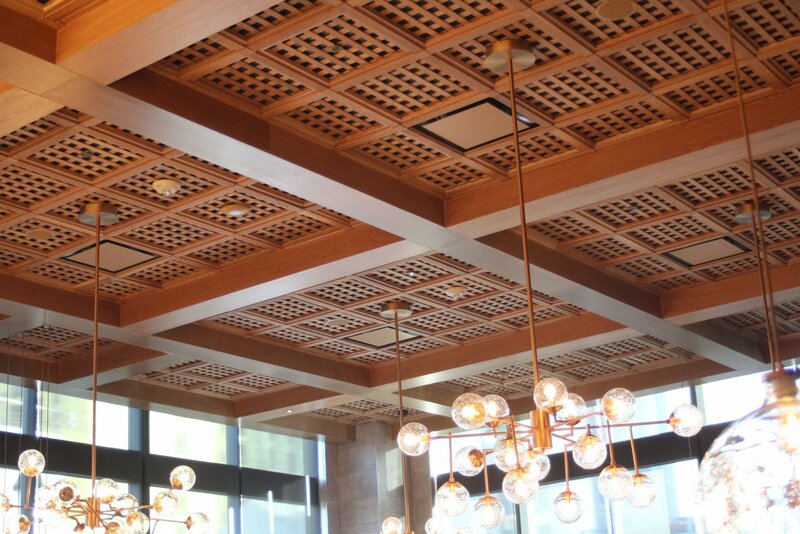 The Classic CoffersTM System, with the use of recycled materials, contributes to generating LEED® points. 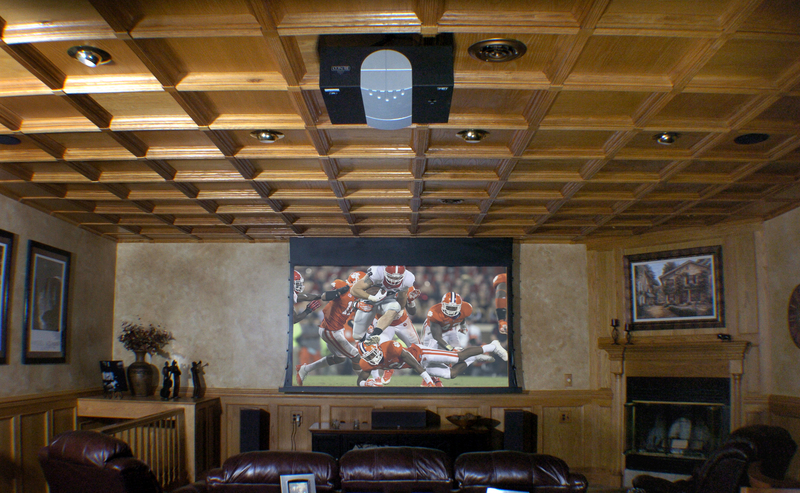 Final result: A Fast & Easy Installation With Design Options To Meet Your Budget! 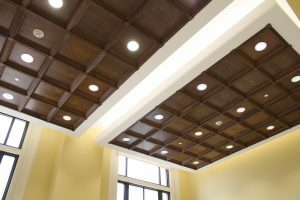 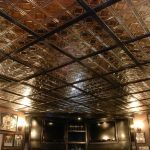 Classic CoffersTM ceilings are designed for a variety of sound attenuation (noise control) and sound absorption (sound quality) properties. 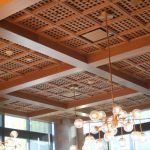 Micro-perforations, leather, and fabrics offer additional sound absorption. 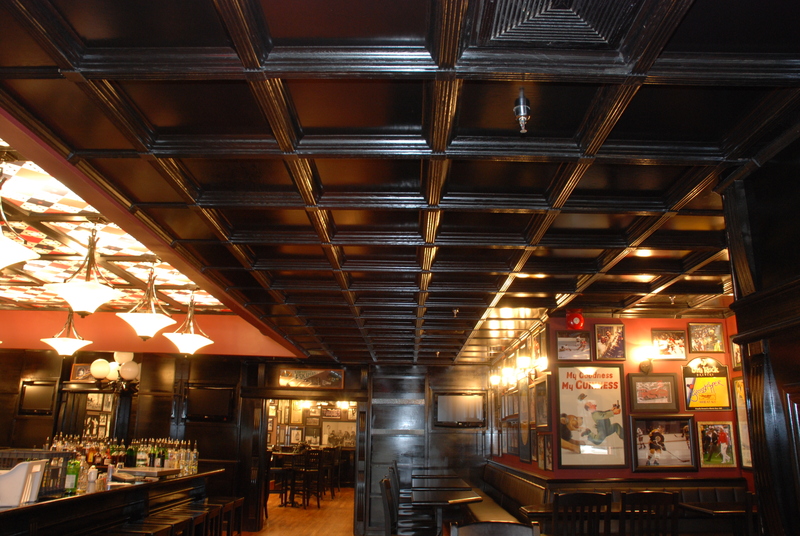 Classic CoffersTM ceiling systems have been laboratory tested in accordance with ASTM, C423 & E795. 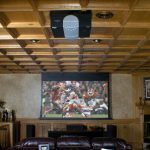 Learn how quick and easy it is to install a Classic Coffers’ ceiling system by watching this short video!